Justice is the leader in fashion apparel and accessories for tween girls, ages 7-14. On a normal day you can usually find a 40% off coupon code. However on Black Friday Justice usually has some killer deals. They don’t offer a physical ad, but they will have a sale for each day for the entire week of Thanksgiving. The flyer for 2017 has not yet been released, but when it is we will post it here. One of the best things about shopping at Justice is that you don’t need to enter a coupon code to get the deals. There are some exclusions that may apply such as not valid on clearance or gift cards, but you can always see the store for details or read the fine print in the ad. 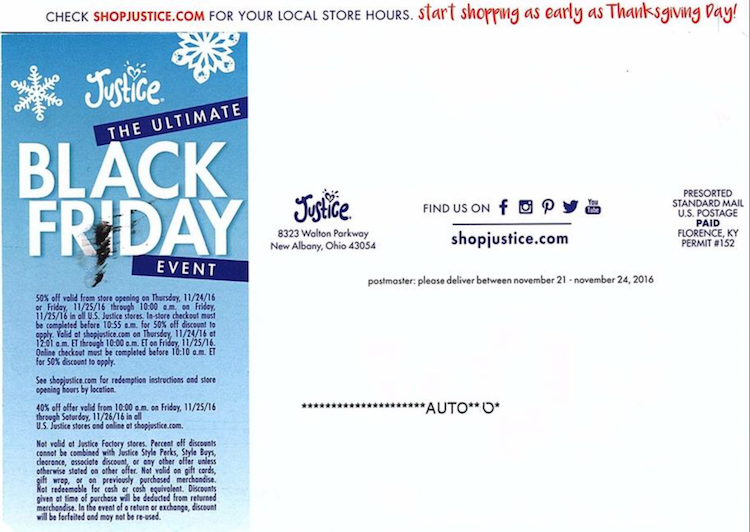 To give you an idea of the kinds of deals to expect, here are the Justice Black Friday Deals from last year. 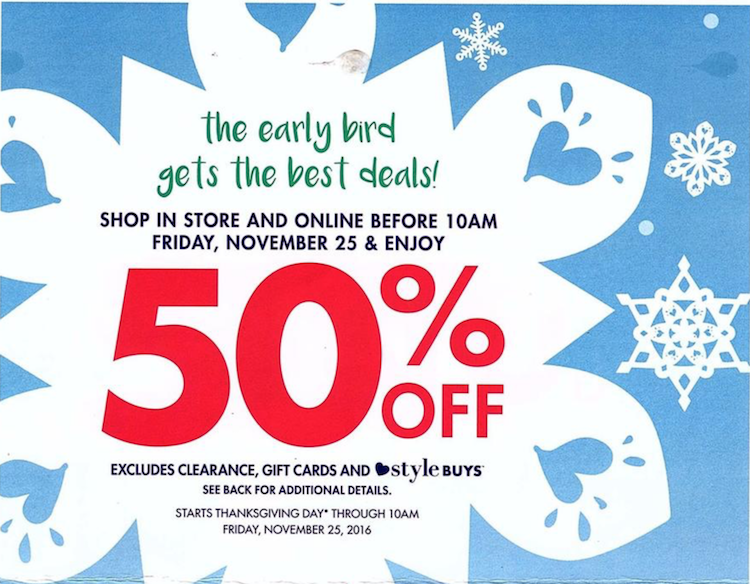 If you shopped on Black Friday day before 10am in-store or online you would have received 50% off your entire purchase. 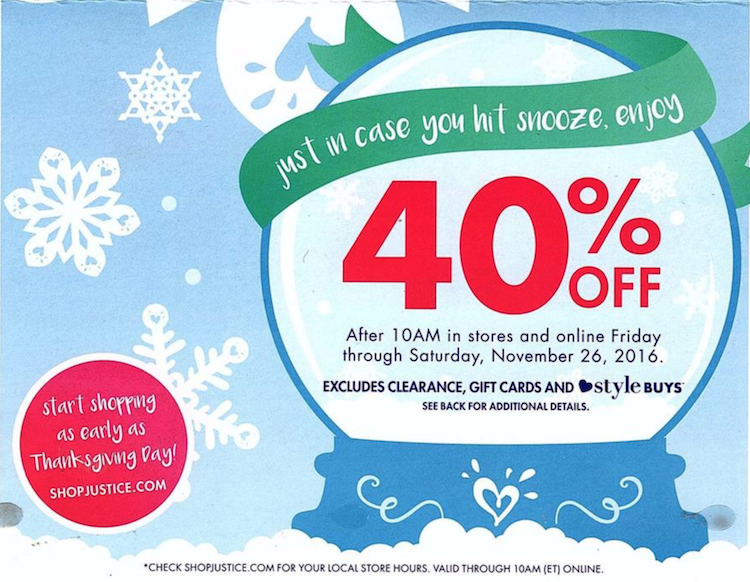 After 10am on Friday and all day Saturday you would have received 40% off. These deals are even better than back in 2015. 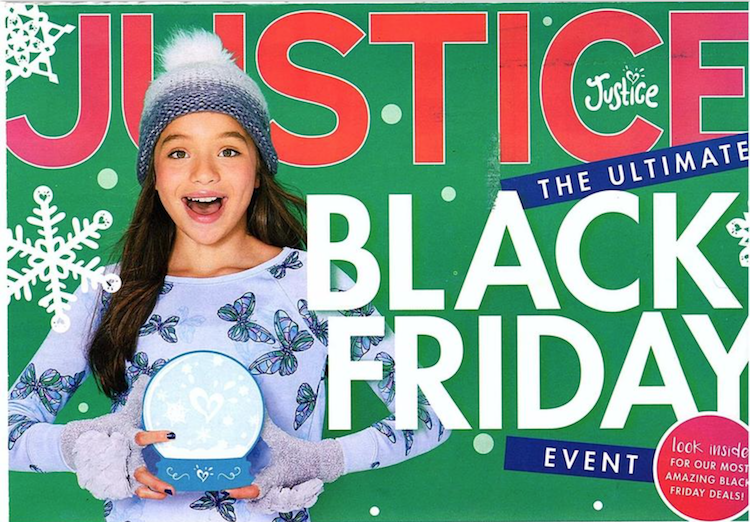 Here is the last year, 2015 Black Friday Justice deals. 40% Off Outerwear, Boots, Cold Weather Accessories & Select Sweaters!